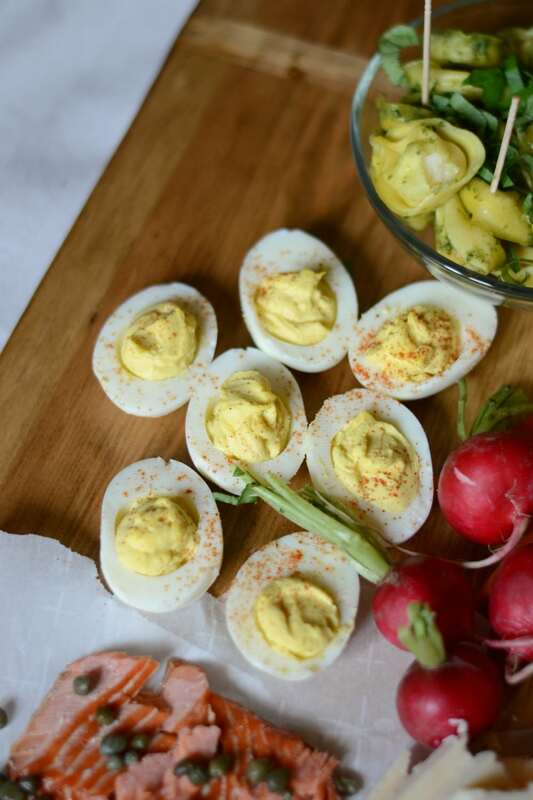 If you’re looking for a beautiful, crowd-pleasing Easter appetizer, I’ve got you covered! Instead of the usual cheese and crackers, serve up this colorful, seasonal appetizer tray that will complement any Easter or spring menu. When I was thinking about what to serve for an Easter appetizer this year, I decided to focus on the colors of the season. Spring is all about freshness and vibrancy, so I wanted to convey that in my appetizer tray by using shades of orange, green, white, and yellow with a pop of bright pink courtesy of some radishes. 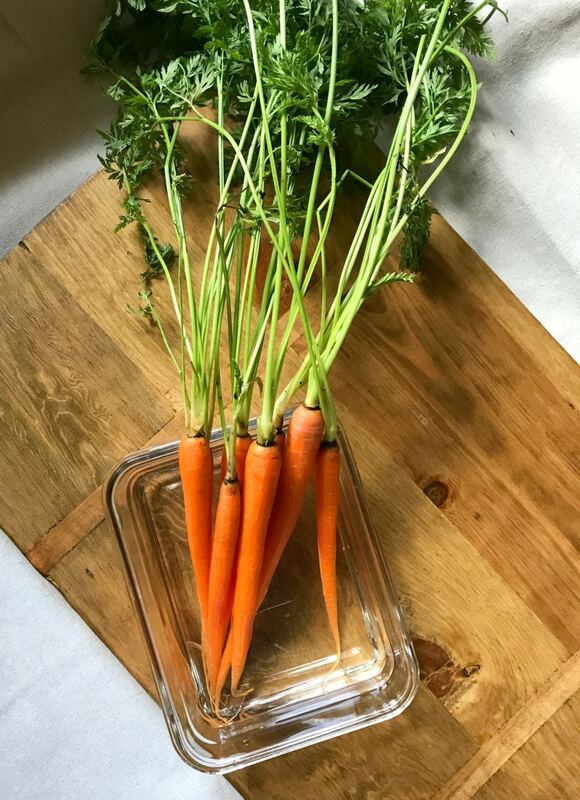 And of course, nothing says Easter like fresh-from-the-garden carrots (even if they actually came from a store…shhhh). Besides carrots, the other food synonymous with Easter is EGGS. So deviled eggs were the next “must have” item for my appetizer tray. 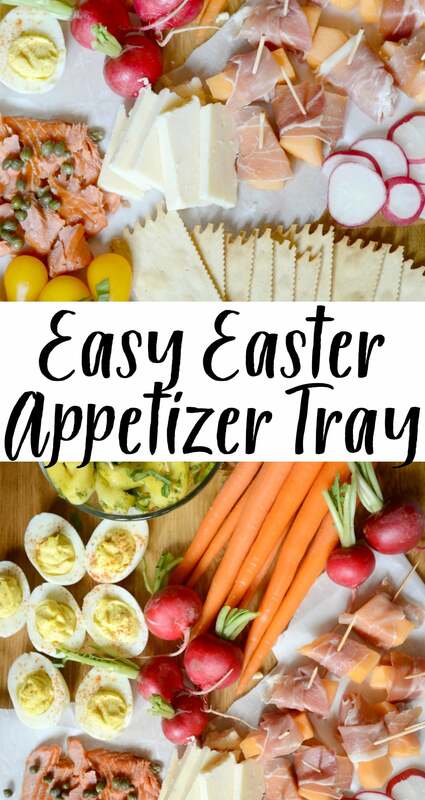 The best part about this Easter appetizer tray is that it’s so, so easy to put together. Aside from boiling water for the tortellini, no cooking is required. And there’s something on it for everyone to love. At the same time, it’s not so heavy that your guests will be too full to enjoy the main course. If you’re looking for inspiration for an appetizer tray of your own, you don’t have to follow this to a tee — just take a trip through your grocery store or farmer’s market and see what catches your eye. Vibrant colors are the key to a beautiful spring appetizer tray. 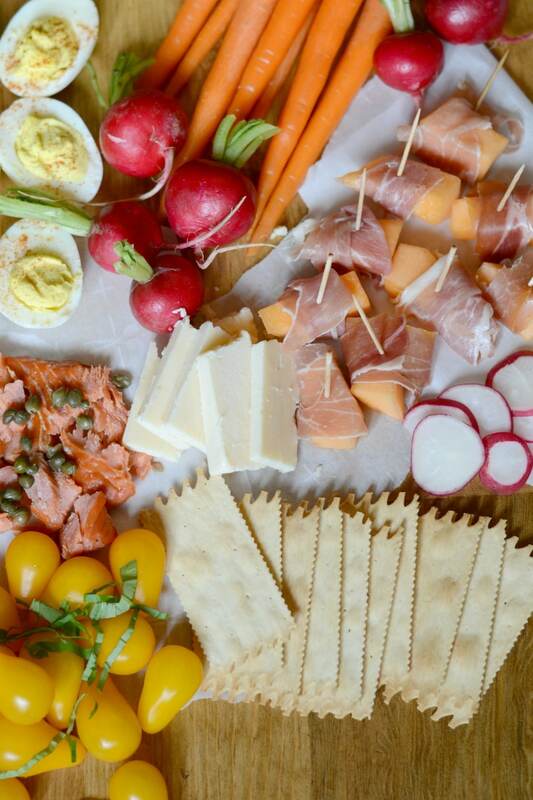 Do you have any other ideas you’d add to this Easter appetizer tray? Leave your input in the comments!